We are handbag hardware supplier and manufacturer. We design and make handbag hardware for handbag manufacturers. 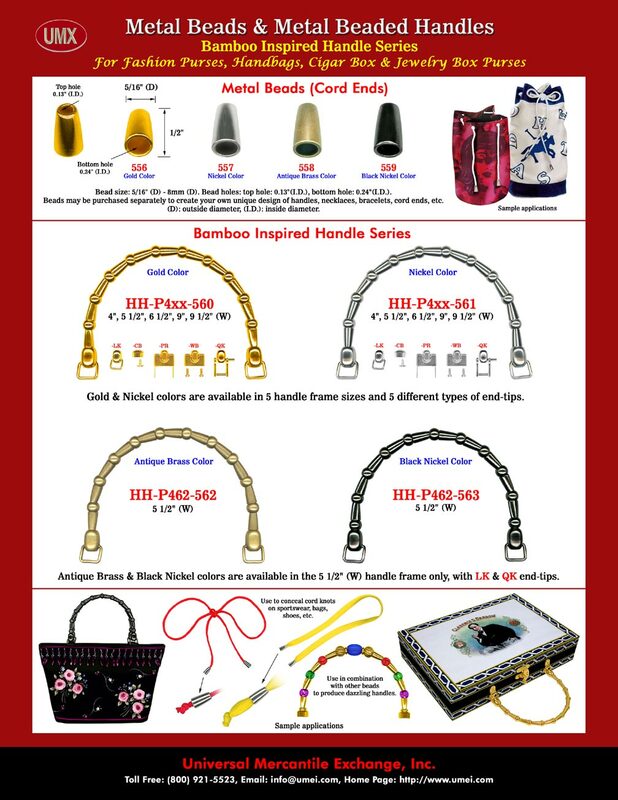 Our metal bamboo handle can be use to make beaded handbag, purse, cigar box, cigar purse, Boxes, cigar box purse, wood box and wooden boxes.